We have built tailored marketing platforms for Worldwide market and also setup platforms for local markets. 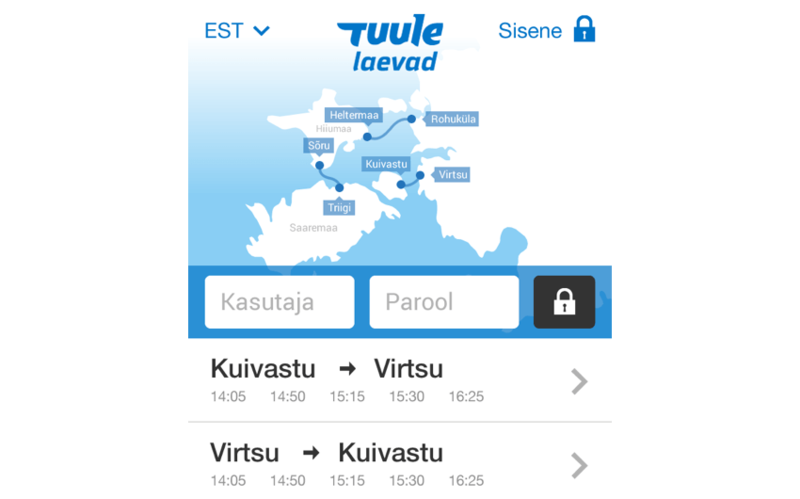 Tuule Laevad is the leading ferrying company between Estonian islands. In 2014 we developed a new concept, created the design and built the prototype. IT magazine “Digi” pointed out that the strongest point in this app are successful design and great user experience. We analyzed the existing Tuule ticket buying process and generated some useful new ideas which make the app even easier for users. After exploring the current system we started to put it all together on paper to see if the new flow works on mobile devices and made adjustments where needed. 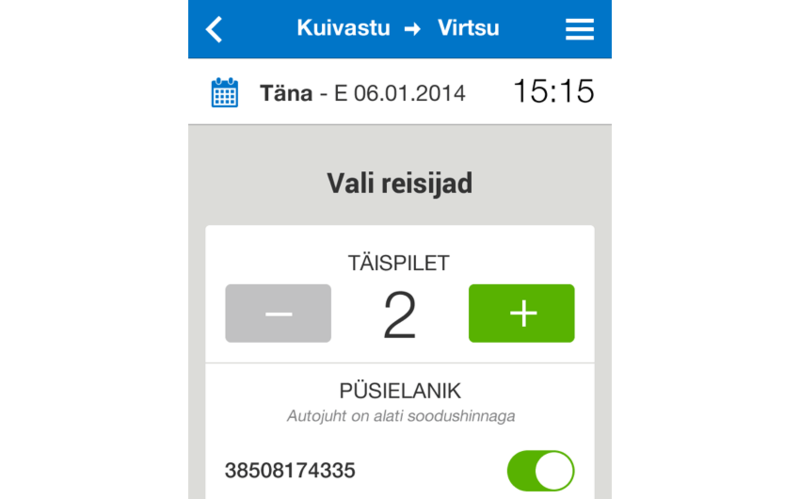 We had to create balance between Tuulelaevad stylebook and modern mobile design principles. 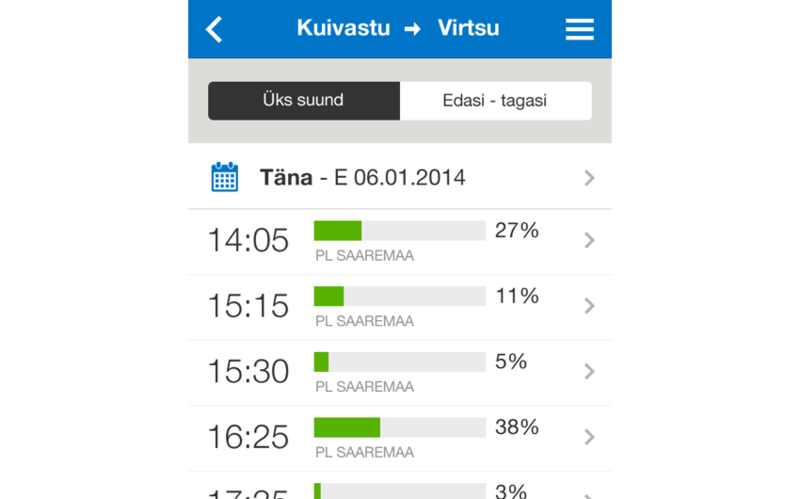 Focused data and big clickable buttons make the app more user friendly. User testing at this phase is also important. We tested the apps with different age groups to see if they understand it the same way and made adjustments where needed. We used Hybrid App Framework because of limited budget and development time. It also speeded up HTML prototyping because all the basic design elements were ready to use. 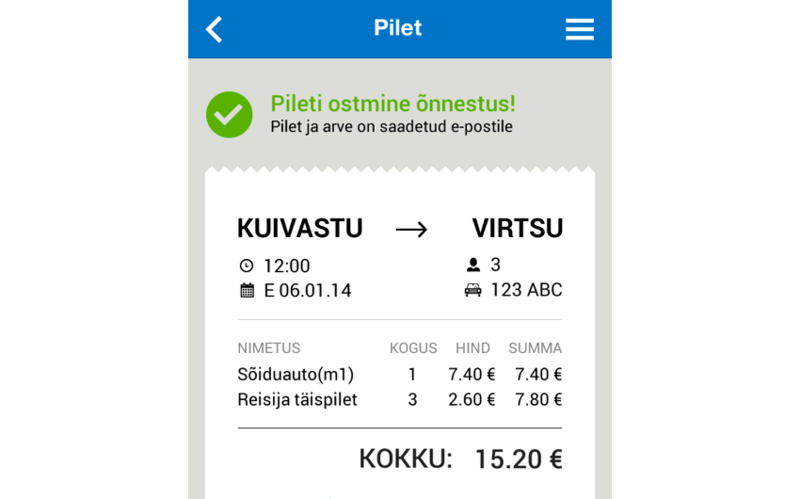 Tuule app was reviewed by one of the leading IT magazine “Digi” in Estonia and got five stars out of five. They pointed out that the strongest points in this app are successful design and ease of use.